Features: Upgrade, repair or make your own pair of earrings these tin plated clip earring findings. 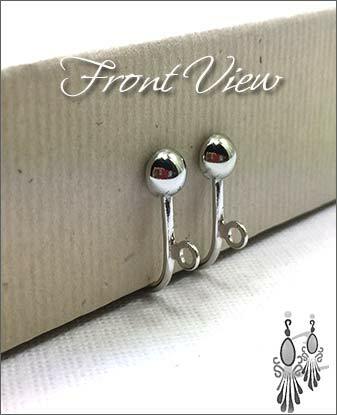 These clips are nickel free and have the screw-back mechanism for maximum comfort. They have a loop to allow you to hang your favorite earrings.